The photo was taken inside a glacier! BACK ROW (standing:) : dk, dk, .... Pete Lambert, Mick Bull, Steve Poole, Diane Edwards? 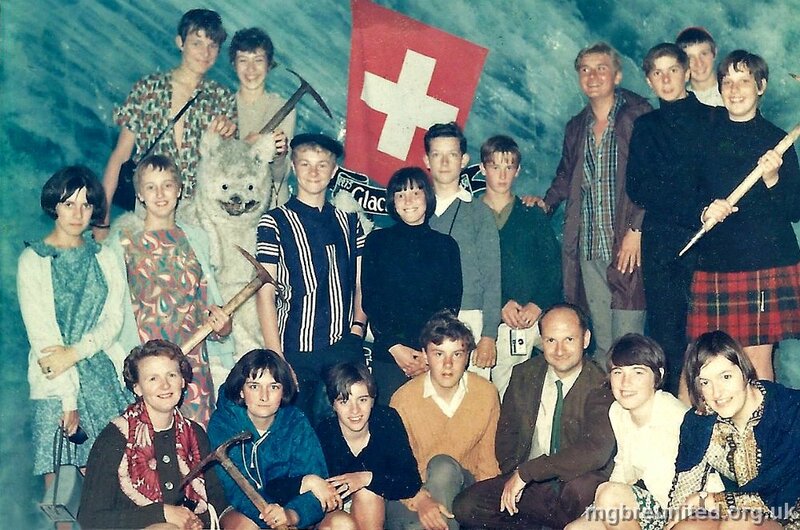 MIDDLE ROW (standing): Jenny East, Nicola Brailsford, White Bear, dk, dk (girl), Lee Hopewell, Dave ?. FRONT ROW (kneeling): Mrs Beamont?, Glenda Coin, dk, Steve? Dunston?, Mr Beaumont (teacher), dk, Suzanne Butcher.